We not only test your vehicle's ECU, but also all of your vehicle's components. Regardless of your vehicle's issues or even if you are unsure of your vehicle's current fault, we have the latest dealer level diagnostics equipment. This can not only save you a lot of time but also money! Each vehicle manufacturer has its own type of diagnostic equipment to test that vehicle's component type. Fastlane Autocare is one of the very few vehicle repair agents that carry every different type of testing and diagnostic equipment needed for your type of vehicle! We have the very latest in technology testing equipment and set up facilities to extensively test all ECUs and modules. Here is a bit of information about the items that we test on your vehicle. The ABS pump consists of the motor, the module ( modulator block ) and the ECU. Each component has significant parts to play in your vehicle's braking system. The location of the pump is always in the engine bay and doesn't necessarily have to be leaking in order to fail. We can test the ABS unit whilst it is still fitted to your vehicle. The transmission control unit or TCU as it is commonly called, is a device that controls modern electronic automatic transmissions. A TCU generally uses a number of sensors from the vehicle as well as data provided by the engine control unit (ECU) to calculate how and when to change gears in accordance with your engines revs. This is vital for the vehicle, not only for optimum performance and fuel economy, but also for shift quality and smooth gear changes. This particular part plays a big role in your vehicles' running. An engine's power can be increased or decreased by the restriction of inlet gasses (i.e., by the use of a throttle body). Nearly every modern day vehicle has what is called an electric throttle body controlled by a signal from your vehicle's ECU. Many older vehicles have a mechanism throttle controlled by a cable from your accelerator pedal. This is an electronic control unit responsible for monitoring and controlling various electronic parts of your vehicle. Typically this controls the power windows, power mirrors, air conditioning, immobilizer system, central locking, and so on. This module communicates with other onboard computers via the vehicle's CAN bus system. This module even controls your interior lights dimming out! The airbag module also called the air bag electronic crash unit (ECU), is a critical piece of equipment in modern vehicles. The SRS module controls the deployment of the airbag by maintaining a constant exchange of information with the vehicle engine using the CAN bus system. When a crash that fits the ECUs parameters occurs, it deploys the airbags. The SRS module stores crash and other data, and when it is not functioning properly it can prevent airbag deployment. Sometimes crash data can be reset. An engine control unit (ECU) is a type of electronic control unit that controls a series of engine components including actuators on the engine to ensure optimal performance. It does this by reading values from a multitude of sensors on the engine. An electronic instrument cluster, digital instrument panel or digital dash for short, is a set of instrumentation, including the speedometer, that is displayed on a digital readout rather than with the traditional analogue gauges. We have branches all over the North West. Each of our branches is equipped to deal with any ECU testing. So regardless of the type of vehicle, our branches are ready to help you! We have branches in Stockport, Congleton, Trafford, Manchester, Liverpool, Southport, Runcorn, Atherton, Wirral, Chester, Lymm, Cheshire, Radcliffe, Helsby, Leyland, Oldham, Queensferry, Skelmersdale, Swinton, Trafford, Walkden, Deeside, Middleton, Warrington, Denton, Hale, Chorley, Bury, Bolton, Warrington, Wigan and Widnes. 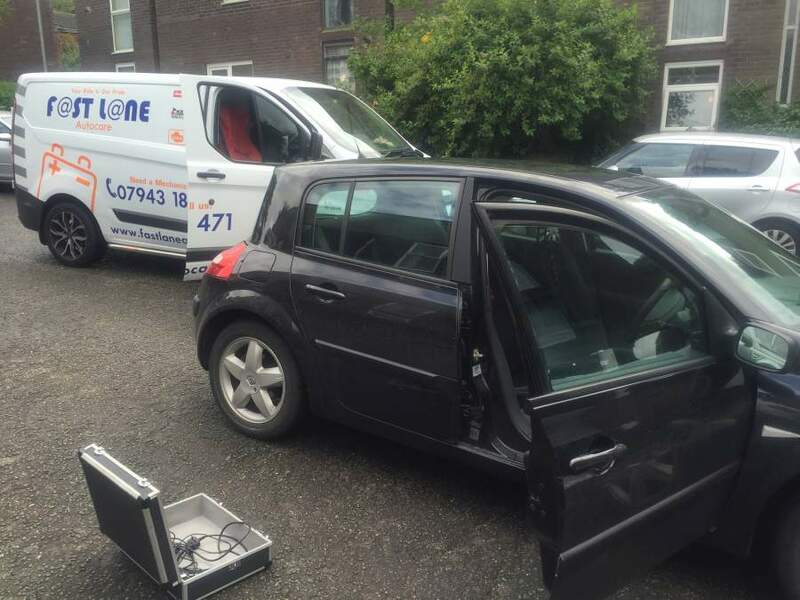 In fact, any location in the North West where you need assistance regarding ECU issues, we are ready to help!